We’ve all been there – you want to make that dream purchase, but don’t have the money just yet. You don’t need to wait – personal loans may help achieve you goals. What’s more, personal loans can usually be paid off over an extended period. With most loan providers a rate query could reduce your credit score. And your actual rate may turn out to be higher than the benchmark rate. Unfortunately you wont get your personal rate until you apply – sounds like a catch 22! So do you just apply without a personalized rate or do you shop around – risking your credit score? But there is a finance company that gives you a personal rate before you apply. The process of getting a personalized rate does not touch your credit file. Now you don’t have to hurt your credit score or end up with an uncompetitive rate. Great – So the next time you want to get a truly honest personal loan – jump online to NOW FINANCE. What is a consideration period? 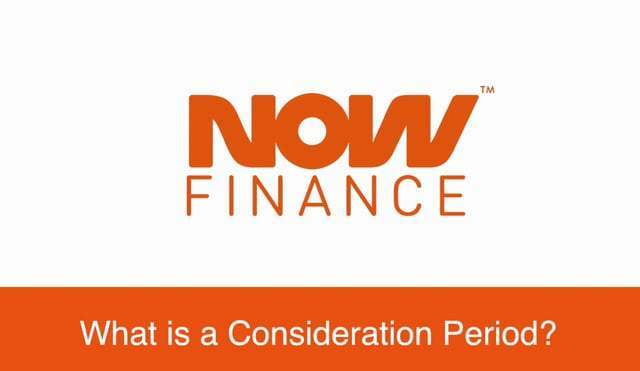 When shopping around for a secured loan, borrowers will often come across the term “consideration period.” What is this? The consideration period is the time lenders are legally obliged to give the borrower to review all documents related to the secured loan. Lenders should not contact borrowers in this period, as doing so invalidates the loan documentation. The consideration period gives the borrower time to fully review and consider how much they are borrowing and the terms of the loan, as well as how comfortable they are securing the loan against their home or another asset. Borrowers should make full use of the consideration period to ensure they’re happy with all aspects of the secured loan proposal. 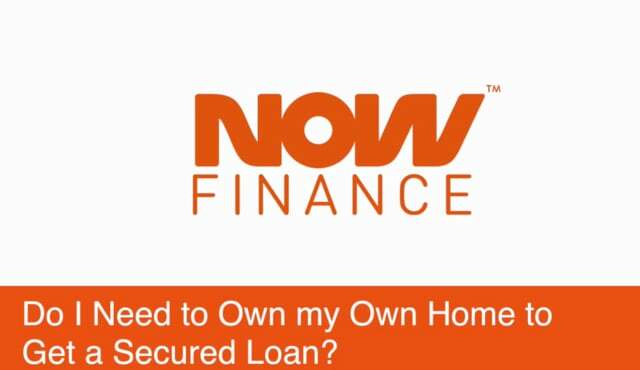 Do I need to own my own home to get a secured loan? Borrowers considering applying for a secured loan will have numerous questions about the product. One of the most common is: Is being a homeowner an essential part of the eligibility criteria for a secured loan? Secured loans are only accessible to homeowners, although a borrower does not necessarily always have to use their home as the collateral to secure the loan. Instead, they may secure the loan against a car or another high value asset, although some lenders may ask that a borrower’s home be used. If borrowers do secure a loan against their home, this new borrowing sits on top of an existing mortgage agreement, meaning both need repaying, unless the borrower uses their secured loan to pay off their mortgage. Borrowers looking to borrow a larger amount of money than what is typically available from an unsecured loan may consider applying for a secured loan as an alternative. While borrowers may use a secured loan for similar reasons to if they took out an unsecured loan, their circumstances may dictate they need to borrow more. What is the process to getting a secured loan? The first step is for the borrowers to shop around themselves, or use a loan broker, to help identify the lender with the most competitive interest rate, lowest overall loan cost, comparison rates, fees and charges; and any additional services a borrower may be able to benefit from. While shopping around, borrowers should also check each prospective lender’s eligibility criteria to ensure they will be able to apply without problems. Once a preferred lender has been identified, the borrower should follow the relevant loan application process and provide any supporting documentation requested by the lender. It is particularly important when considering a secured loan that the borrower can easily prove ownership of the asset the loan will be secured against. Borrowers should also note the application process is longer than for an unsecured loan. Borrowers should also consider checking their credit report prior to applying for a secured loan. Secured loans are one of several financial product solutions available to borrowers. What are the benefits of a secured loan that may make it a better choice ahead of other possibilities? Due to a secured loan being secured against an asset belonging to the borrower, loan amounts are usually higher and interest rates usually lower in comparison with the unsecured loan market. Due to the higher amounts being borrowed, secured loans are usually repayable over longer periods. This can add the extra benefit of repayment amounts being lower, meaning secured loans tend to offer all-round better value for borrowers. Borrowers should consider these benefits and compare them across lenders when shopping around for a secured loan. What are the Drawbacks of a Secured Loan? 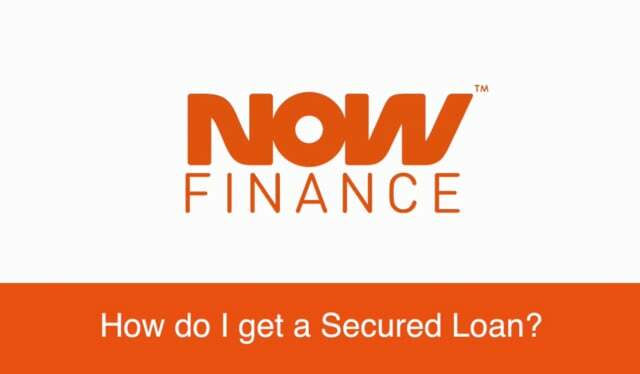 What drawbacks should a borrower consider when looking at applying for a secured loan? The time it takes to apply for a secured loan and receive a loan decision from a lender can represent a major drawback for some borrowers. It takes longer than going through the unsecured loan process, but is typically quicker than applying for a mortgage. There is also a longer consideration period for borrowers to consider the loan offer in full. Borrowers may also need to take legal and financial advice related to securing their loan against their home or another asset, while there may be additional upfront fees and costs to pay when going through the secured loan application process. Aside from the application process, the other major drawback is that the loan is secured against a high value asset, which is usually the borrower’s home. This means that if payments are missed or the loan account defaults, the borrower’s home, or other asset, will be seized in order for the loan to be repaid. While the process for getting a secured loan cannot be helped, the potential of a borrower losing their home can be avoided through careful financial management to ensure loan repayments are kept up to date. What are the risks of a secured loan? Taking out any financial or credit product carries a degree of risk. What are those associated with a secured personal loan? The biggest element of risk comes in the form of missed payments. If a borrower misses repayments of a secured loan, there is not only the risk of damage to their credit history, but also the potential of losing their home, or whatever asset was secured against the loan. The risk of losing a property or another high value asset such as a car is a significant one, and as such borrowers should not enter into secured loan agreements without first giving due consideration. Additional risks may come through borrowers not shopping around thoroughly enough for the best loan deal, leading to them repaying more and potentially making it easier to fall into financial difficulty. Avoiding the risks of a secured loan is simple to do. While it is up to the lender to provide credit responsibly, the borrower should ensure they will be able to meet repayment obligations, thus reducing the risk of their account falling into default and seeing their home or other assets repossessed. Secured loans are popular finance products. Borrowers should understand what a secured loan is and how they work prior to applying for one. Secured loans are usually offered by banks or other finance businesses. So a lender can provide a borrower with a larger amount of money or a more competitive interest rate, they secure the loan against a high value asset that belongs to the borrower. Secured loans are most commonly secured against the borrowers home, however other high value assets, such as a car, may be used as collateral. Secured loans are usually repayable over longer periods than unsecured loans, and they are available with fixed and variable interest rates. An example of a secured loan would be to borrow $50,000 at a fixed interest rate, with the total loan cost repayable over 20 years. As the loan is secured, failing to make the necessary repayments could lead to a borrower’s home, or whatever asset they used as collateral, being seized so it can be sold to repay the balance of the loan. When shopping for loans borrowers will often see the terms “secured” and “unsecured” used to describe a loan. 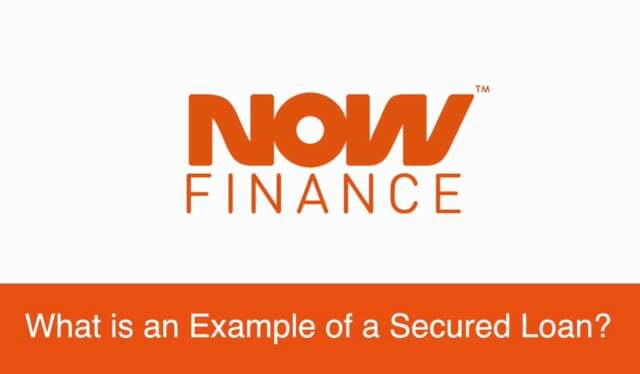 So, what is a secured loan? Secured loans are loans provided by a lender to a borrower, with an asset used as collateral to protect the borrower against missed repayments or defaults. Loans are most commonly secured against the borrower’s home, although other high value assets, such as a car, may be used as collateral. If the borrower misses a series of payments or the account defaults, the asset used to secure the loan is seized and sold as a means of repaying the loan. Due to their nature and the presence of collateral as insurance, the funds available from secured loans are generally higher than with an unsecured loan. The interest rate is usually lower, with secured loans available over a longer period, as a secured loan is perceived to carry a lower risk to the lender. When shopping for loans borrowers will often see the terms “secured” and “unsecured” used to describe a loan. 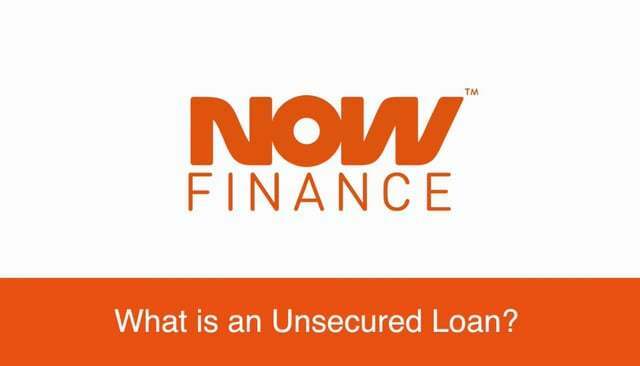 So, what is an unsecured loan? Unsecured loans are loans provided by a lender to a borrower, without an asset used as collateral to protect the borrower against missed repayments or defaults. For example, a secured loan is called such as it is secured against a car or the borrower’s home. If a repayment is missed or the account defaults, the asset used to secure the loan is seized and sold as a means of repaying the loan. As there is no such asset used in this case, the loan is an unsecured one. Due to their nature, the funds available from unsecured loans are generally lower than with a secured loan, and the interest rate higher, as there is a greater degree of risk attached to an unsecured loan. Unsecured loans are popular finance products. Borrowers should understand what an unsecured loan is and how they work prior to applying for one. Unsecured loans are usually offered by banks or other finance businesses. The repayment term of an unsecured loan is usually up to five years, although some lenders may offer loans repayable over a longer period, sometimes up to 10 years. Unsecured loans are available with fixed interest rates and with variable interest rates. Borrowers taking out an unsecured personal loan are not required to provide security or collateral against the loan. An example of an unsecured loan would be to borrow $10,000 at a fixed interest rate, with the total loan cost repayable over five years. As the loan is unsecured, failing to make the necessary repayments could lead to an account falling into default and the borrower’s credit history being effected. What Are Benefits Of An Unsecured Loan? Unsecured loans are one of several financial product solutions available to borrowers. What are the benefits of choosing an unsecured loan ahead of other types of borrowing? Applying for an unsecured loan is usually a fast process, and often borrowers will have flexibility around various aspects of the loan. As well as being quick to apply for, unsecured loan applications will often be assessed quickly and in some cases, borrowers can receive their money within a couple of days. Unsecured loans can be used for a variety of purposes, from consolidating existing debts to purchasing an asset or making home improvements, allowing borrowers to fund what they’re looking to do now and repay over a longer period. Quick and flexible, unsecured loans offer some great benefits to borrowers. What Are The Drawbacks Of An Unsecured Loan? 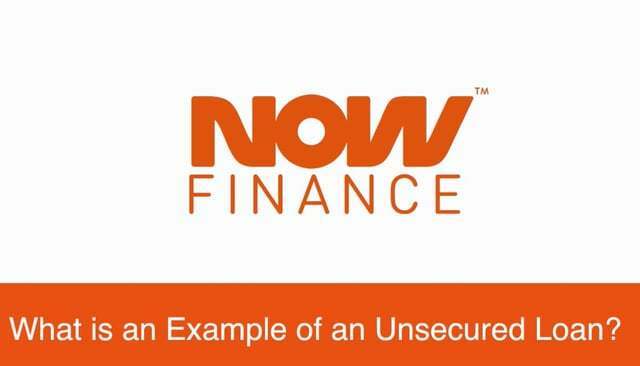 What drawbacks should borrowers consider when deciding whether to take out an unsecured loan? The main drawback of an unsecured loan is often the fact that it’s unsecured. This means a borrower failing to make a payment or allowing their account to fall into default has no insurance against the missed payment. Consequently, these missed payments will be reflected on the borrower’s credit history, and influence their credit score. As there is no collateral against an unsecured loan, the borrower may feel more pressure to ensure repayment obligations are met, while repaying an unsecured personal loan over an extended period can be also be a source of pressure. However, a borrower should ensure they are able to meet their repayment obligations when applying for and accepting a loan in the first place. If a repayment is missed, the borrower should contact their lender and look to deal with the situation as soon as possible. The drawbacks of an unsecured loan can be largely avoided through the borrower planning repayments and ensuring the loan terms work within their personal circumstances. What Are Risks Of An Unsecured Loan? Taking out any financial or credit product carries a degree of risk. 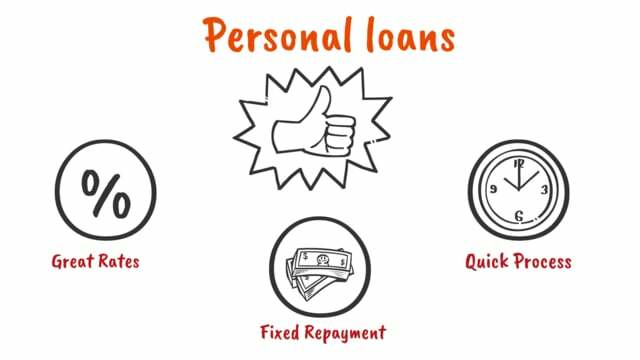 What are those associated with an unsecured personal loan? The biggest element of risk comes in the form of missed repayments. Missing a payment can lead to a borrower seeing a negative impact on their credit score, with each missed payment recorded with credit reporting agencies. Accumulation of missed payments can then lead to an account going into default, and potentially the borrower can be taken to court and even be made bankrupt through failure to meet repayment obligations. Avoiding the risks of an unsecured loan is simple to do. It is up to the borrower to ensure they are able to meet their repayment obligations when applying for and accepting a loan. Borrowers looking to consolidate debts, make an expensive purchase, or fund the trip of a lifetime, may wish to apply for an unsecured personal loan, but what is the process to getting one? The first step is to shop around and identify the lender with the most competitive interest rate, overall loan cost, and other services that a borrower might find beneficial. During this process, borrowers should check each prospective lender’s eligibility criteria to ensure they will be able to apply without any problems. Loan brokers provide services that compare different loan products and additional services provided by lenders. This can save a borrower time in conducting their own research. Once a preferred lender has been identified, the borrower should follow the relevant loan application process and provide any supporting documentation requested by the lender. Borrowers should also consider checking their credit report prior to applying for an unsecured loan. When repaying a loan it may become necessary to borrow more money. This money may be needed to make a purchase, or there may be an opportunity to consolidate an existing loan and benefit from a better interest rate on new borrowing. What options are available? Asking an existing lender is a possibility; there might be the option of taking out another loan with them, or withdrawing money within an existing loan agreement. Another option is to seek out a loan from another lender. This may be an attractive option if a withdrawal option is unavailable, or if the other lender offers a cheaper interest rate and the opportunity to save money. Borrowers should ensure they would be able to meet any additional repayment obligations prior to taking out another loan, though there is also an obligation to the lender to ensure they are providing credit responsibly. While borrowers will know how they intend to repay a loan upon making an application and receiving the funds, personal and financial circumstances can easily change over the course of a loan period. How can borrowers have contingencies in place to ensure they can continue to repay their loan? It is a good idea to have three to six months’ of repayments saved as a contingency. This allows for a range of personal changes including a change or loss of job, taking time off due to illness, and any reduction in income, for whatever reason. If a loan has a variable interest rate the repayment amount could also change across a loan period. Without contingencies in place, borrowers may begin to miss payments and see their credit history negatively affected. Borrowers should ensure they will still be able to repay their loan in the event of their personal circumstances changing, though lenders are also obliged to ensure they provide credit responsibly. Sometimes circumstances will dictate that it is not possible to make a loan repayment on its due date. This can be worrying for both the lender and for the borrower, but what can be done? Contact the lender. While a lender ideally will want to receive every scheduled repayment on time, if it is explained to them that on a given occasion this won’t be possible, and an alternative payment date is provided, lenders will often be accommodating to such a request. Some lenders will also offer to reschedule future payment dates to avoid a repeat of this scenario. Missing a repayment is never ideal, though by working with the lender to ensure a payment is made within 14 days, borrowers can avoid these being reported to credit referencing agencies. Contact the lender to discuss potential solutions rather than simply letting a repayment fail. Interest rates can have a big effect on the overall cost of a personal loan. Interest rates will differ from lender to lender. The actual comparison rate offered on a loan will vary depending on the loan period, the amount of borrowing, any fees and charges from the lender, and sometimes on the repayment frequency. The amount of interest in monetary terms is calculated over the full loan period, but applied to the overall cost at the beginning of the loan. This allows for the fixing of repayment amounts at a consistent level. How the different variables effect interest rates can be seen by using a loan calculator, available on many lender’s websites. These will also provide a guide to the amount of interest that will be applied to a loan. Lenders should also be able to provide information on included fees and charges on request. How a loan will be repaid is a key consideration to make when assessing loan options. It is rare that a loan will need to be repaid in one lump sum, although it will depend on the terms of the loan agreement. It is more common for a loan to be repaid in instalments over a pre-determined period, though a lender may ask for a lump sum if payments are missed and a loan falls into default. Whether the repayment instalments are always the same will depend on how the loan is structured and whether the loan offers a fixed or a variable interest rate. Always check the loan terms to understand in full what the repayment structure looks like.